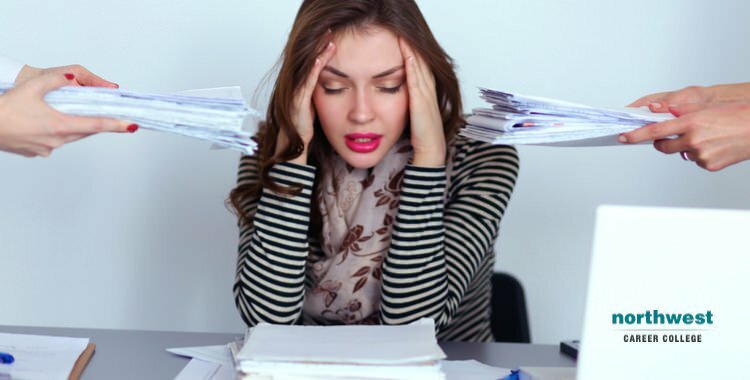 How Chronic Stress Puts Your Health At Risk? Stress is something we all experience every day. We all have responsibilities as part of our social and professional lives, and those responsibilities can put us under pressure. Your body’s reaction to that pressure is to release a series of hormones to help you battle through whatever challenges you are up against. In the short term, this is a good thing, your body’s stress reaction can sharpen your reflexes, make you better able to deal with pressured situations and can even make you heal faster. In the long term, a constant feeling of stress can unbalance your body’s hormone levels, leading to a number of adverse side effects and putting your health at risk. When you encounter a stressful situation, like a heavy workload in your professional life, an awkward social situation or even an aggressive dog, your hypothalamus, a region at the base of your brain, causes your body to release a cocktail of hormones including adrenaline and cortisol. Adrenaline increases your heart rate, elevates your blood pressure and can make you aggressive and jittery. Cortisol, often called the “stress hormone”, increases the glucose level in your bloodstream. It also streamlines your brain’s use of glucose and increases the availability of the substances that your body uses to repair damaged tissue. While Cortisol improves your body’s ability to react and heal in the short term, it also shuts off functions that would be nonessential in a fight-or-flight situation. These include the immune system, the reproductive system and growth processes. It also suppresses the digestive system and triggers the regions of your brain that control mood, motivation and fear. There is a wealth of information indicating that massage has a positive effect on reducing stress and the levels of cortisol and adrenaline being produced by your body. Regular massage can help you combat the pressures of modern life while, as a massage therapist, you can have satisfaction in knowing your treatments are an effective remedy for the health concerns caused by long-term stress. At Northwest Career College, we operate the best Massage Therapy Schools in Las Vegas, and our Massage Therapy Course will teach you the skills you’ll need to apply the benefits of sports and medical massage. The benefits of massage therapy are widely recognized with employment for massage therapists expected to increase by 22% between 2014-2024, with an average massage therapist earning $39,360 a year. Additionally, many massage therapists maintain active, private practices as well as increasing both their flexibility and earnings. Our massage student clinic is open seven days a week, for both your and your clients’ convenience, and we offer day and night classes to accommodate your work and family schedules. Our instructors are experienced professionals who will prepare you to sit for either the NCBTMB (National Certification Board of Therapeutic Massage) or the MBLEX (Federation of State Massage Therapy Boards) exams, and we are proud of our 100% graduate national board pass rate. Call us at (702) 403-1592 to speak to one of our enrollment specialists today!